It’s here! It’s here! It’s actually finally here! 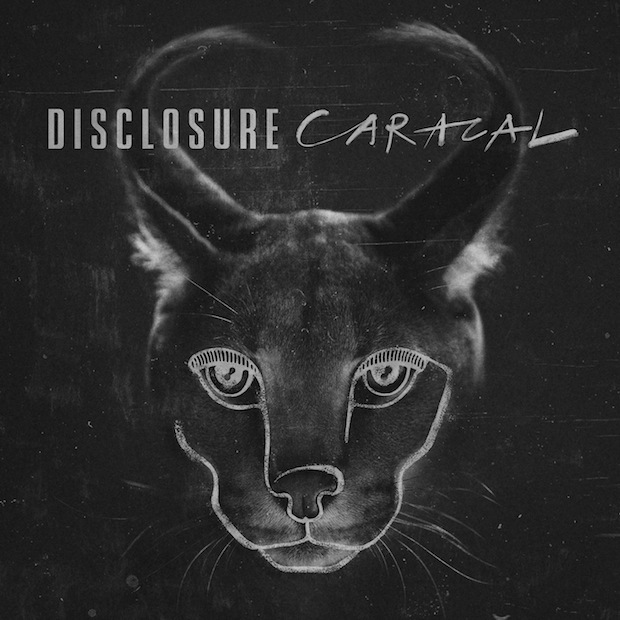 Disclosure’s long-awaited sophomore album, Caracal. After releasing an incredible critically and commercially acclaimed debut, Settle, it seemed like an absolute eternity before we got to hear any kind of new album-worthy material from the Disclosure brothers. Back in May, we were eventually blessed with Bang That, followed by the outstanding Gregory Porter-featuring Holding On, followed by the hugely anticipated reunion with Sam Smith via Omen– if these tracks were anything to go by, we were in for another synth-scented treat. Featuring other guest contributions from The Weeknd, Lorde and Miguel, I’m sure I’m not the only one whose eagerness has got the better of them. First impressions are that I’m really not impressed. Let’s take Caracal’s opener, Nocturnal. The Weeknd’s vocals are blatantly underused and what results is a cheesy pop song with a token outro applied to the end. Following are the aforementioned singles, and we all know the quality of them. Next are Hourglass featuring low-key R&B duo Lion Babe, and Willing & Able with assistance from Kwabs. Again, it’s just not doing it for me. Both tracks hold the Disclosure stamp of identity, but it feels clunky, heavy, and almost laboured. There isn’t the effortless fluidity of Settle, that hypnotic weaving in and out of the 90’s, the flowing criss-cross of underground meeting pop. A while later comes Jaded, another song unveiled prior to Caracal’s release, and it encapsulates my overall frustration with the project. Utilising the in-house vocals from Howard himself (previously heard on F For You), the track begins just as I had hoped Caracal would sound: infectious claps, sauntering low-key synths, complimentary vocals, Jaded shows Disclosure finding its way home. And then the beat drops with one of the most horrific hooks I’ve heard in a while, devastating song and listener in one fell swoop. The vocals are strained, the lyrics are lazy, the production is cluttered, and it really left me wincing. It’s unfortunately the exact same story with Good Intentions, with Miguel’s vocals coming across tired as apposed to strained. Things improve with Superego, with the indescribable dreamy-yet-punchy selling point of Disclosure reappearing and actually sticking around for the duration. Echoes is an astronomical improvement on Jaded, once again enlisting Howard to provide vocals. A more measured, not-really-seen-before approach comes with final track Masterpiece, with the tempo taken down a notch or two, giving the elements of the track room to breathe and flourish. Now this must seem like a pretty brutal review, and to be fair to me, and Disclosure for that matter, I think it’s my drawn-out anticipation and subsequent disappointment that’s consumed my review more than the actual music on offer. There is a good deal of good music, excellent in a number of places, and I’m definitely not calling this a bad album by any stretch of the imagination. I’m sure most people will take to this album, as the sales records and reviews out there would already indicate, but for me, it’s miles away from Disclosure’s jaw-dropping debut.